The most-widely traded base and ferrous metals have benefitted from a bull market since mid-2016. Prices have increased on the back of robust global economic growth and technological shifts that have triggered a surge in metal use. Such an uptick in demand has not been observed since the period following the 2008-2010 economic and financial crisis. 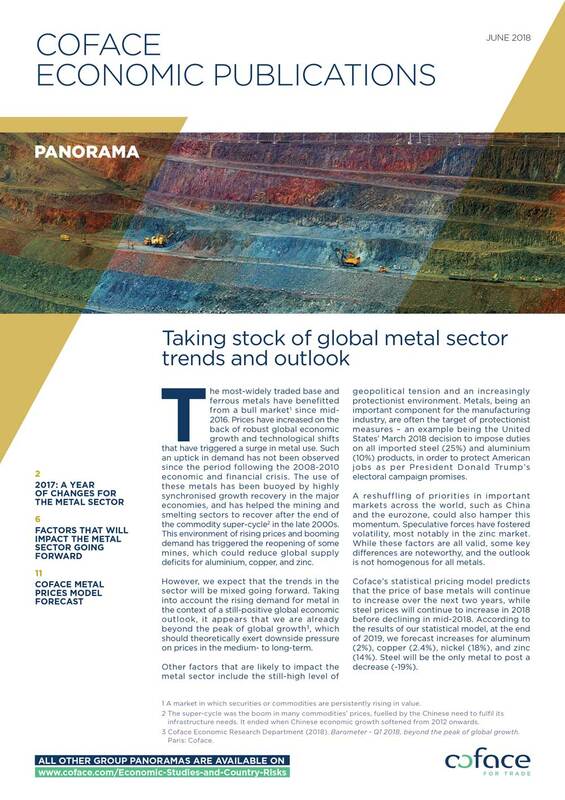 The use of these metals has been buoyed by highly synchronised growth recovery in the major economies, and has helped the mining and smelting sectors to recover after the end of the commodity super-cycle in the late 2000s. This environment of rising prices and booming demand has triggered the reopening of some mines, which could reduce global supply deﬁcits for aluminium, copper, and zinc.